Hallam stretched their unbeaten run to 11 NCEL Division One matches with a goalless draw at Harworth Colliery. The Countrymen created hat full of chances with Kieran Watson missing a simple early chance. Ben Thornton hit the post after getting clear on goal with Watson also seeing an effort cleared off the line. However, Hallam might well have lost it late on when they conceded a penalty but thankfully new signing Jamie Ingham came to the rescue, saving Matty Robinson’s 86th minute spot-kick. “I thought we had good chances to win it but credit to Harworth they stuck to their task and did great and we rode our luck in the last 20 minutes,” said Hallam joint manager Scott Bates. 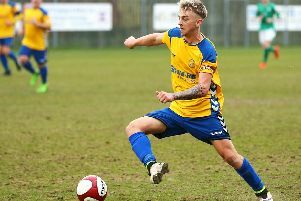 Handsworth Parramore marked their homecoming after five straight away matches by beating high-flying Knaresborough Town in the Premier Division. Jake Currie grabbed the only goal of the game after just 11 minutes after squeezing in a shot from a tight angle. Penistone Church stay second in the Premier Division despite seeing seeing their seven match winning streak brought to a halt as Worksop Town took the spoils at Church View Road thanks to a stoppage time penalty. Maltby Main came from 2-0 down to grab a point from a 2-2 draw at ten-man Staveley MW. Athersley Recreation were beaten 3-0 at home by leaders Yorkshire Amateur. A Mark Fereday goal on the stroke of half-time was enough for Dronfield Town to beat AFC Emley 1-0 in Division One. Worsbrough Bridge Athletic made it four wins from five beating Skegness Town 3-1 at Park Road to consolidate sixth place. Jack Waldron, Billy Law and Liam Owen netted for Worsbrough. Swallownest went down 5-2 a East Yorkshire Carnegie after twice leading through Luke Beedham and Jordan Livett before the hosts took up the spoils with the three goals in the last 20 minutes. 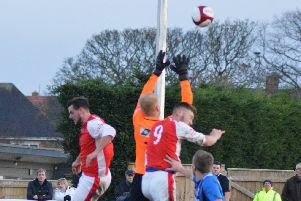 Rossington Main took the bragging rights in the Doncaster derby coming from a goal down to beat Armthorpe Welfare 3-1. Jordan Buckham put Armthorpe ahead before an Alec Denton double turned the tables. Steve Garner was sent off for Armthorpe and Lee Holmes made sure of the win for Rossington midway through the second half.